Active brood mare until 2008 with one filly by Jaguar Mail. 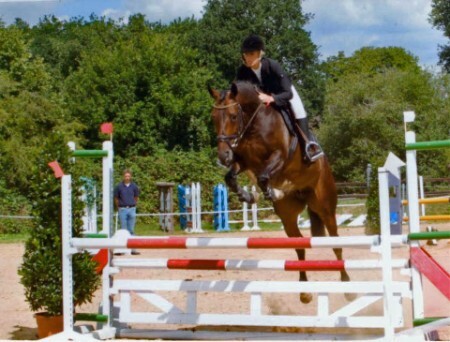 Started under saddle in November 2008, soundly trained and only carefully shown at tournaments at the age of six; victories and placements at elementary level in the show season 2010; starts and placements at M*-level in 2011, among them a placement at a M*-level jumper class at the Horse Show in Großostheim (home tournament of Otto Becker); potential for more. Chester was born on May 17, and he immediately proved after his birth that speed and height are all that matters - none of this year's other foals was on its feet that quickly! He is overflowing with energy, simply beautiful and has an expressive type. 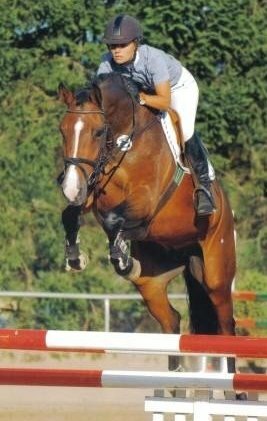 Lots of successful international competition horses come from his granddam's damline that successfully competed under Otto Becker or Paul Schockemöhle. See also Horse Breeding/Dam Lines. We are looking forward to his sport career with pleasure. Dexter was born on April 25. 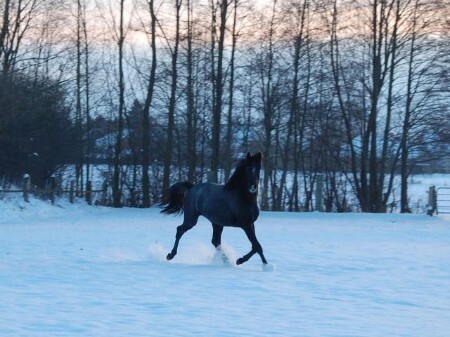 He is a very noble colt with swinging, supple movement he also knew to present during the official Foal Presentation of the Verden Horse Breeder's Club where he ranked 8th among more than 50 foals in total. He was fourth reserve champion for the Lohberg Foal Championships where he ranked in the middlfield - quite satisfying for us as he was in change of coat at that time and therefore a bit exhausted.